Nature never ceases to amaze me…every day I come across something new that makes me appreciate the incredible design of this planet. 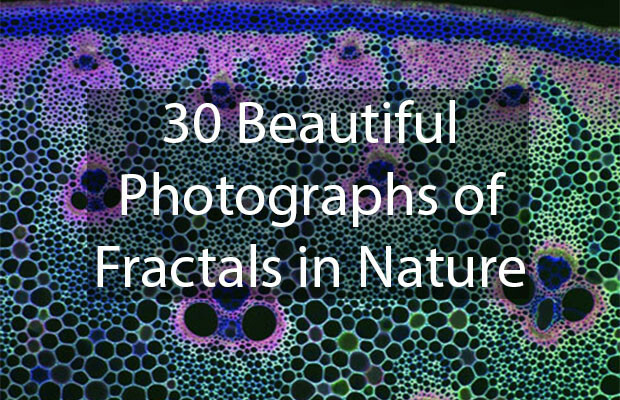 Most of these 29 patterns are part of a group called “fractals.” You can find them across all sorts of natural phenomena, and you’ve probably held one in your hands before. They’re made from a single shape repeating itself over and over again. Zoom in on a smaller part, and it looks just like the wider view. They play out in spectacular ways throughout nature, and the results are seriously hypnotizing.